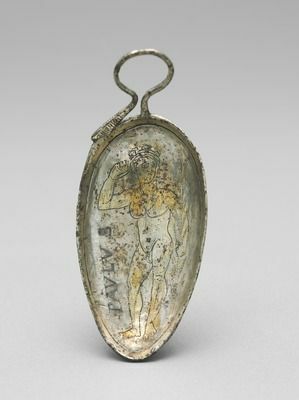 (12) Silver gilt spoon. Saint Paul to inside of bowl. 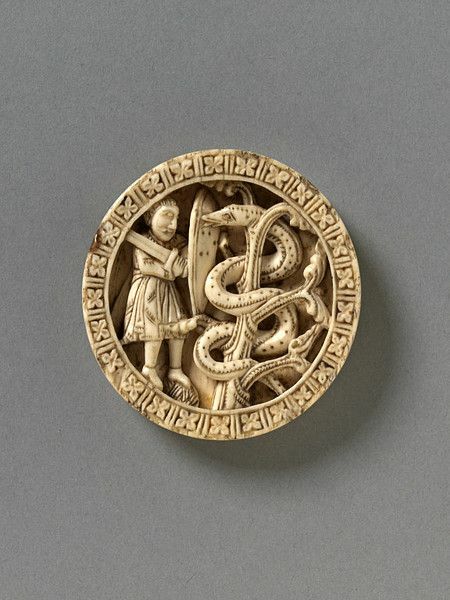 Roman/British, 3rd century A.D. Possibly from the Hoxne Hoard. 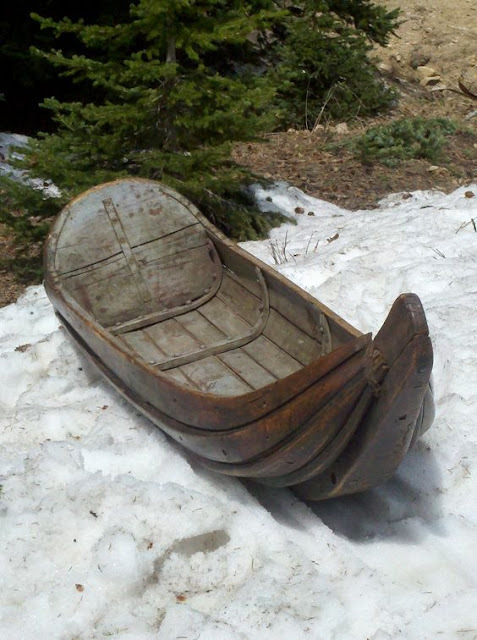 (15) Sami (lappish) baby sledge. Lapland, 19/20th century. 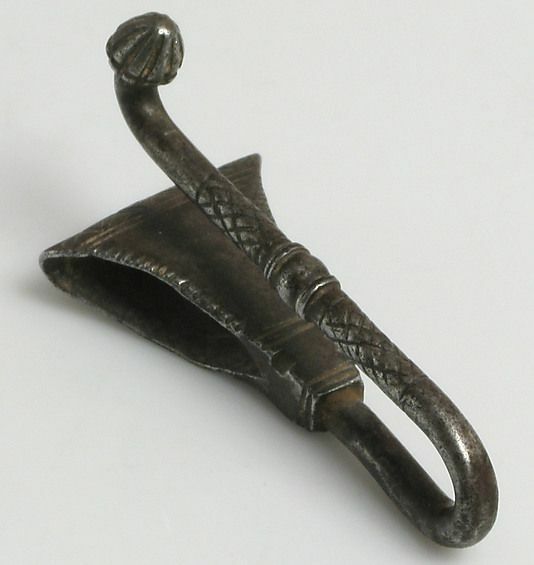 (18) Belt hook for sword, North European, 17th/18th century. 12. Yes, you have it, Mike. 2nd half of the 3rd century with the outline and title in niello work. 18.Yes, French possibly earlier, say 15th century? 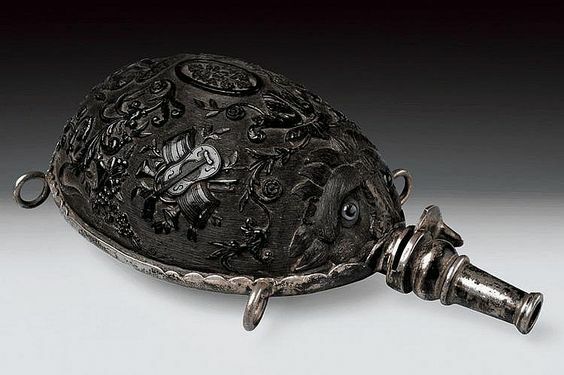 (13)Gunpowder flask, made from a cocoanut shell. 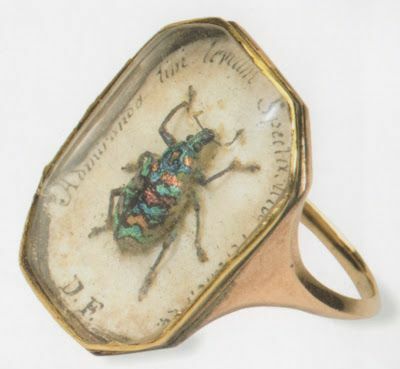 Made in England, probably during the mid 18th century. 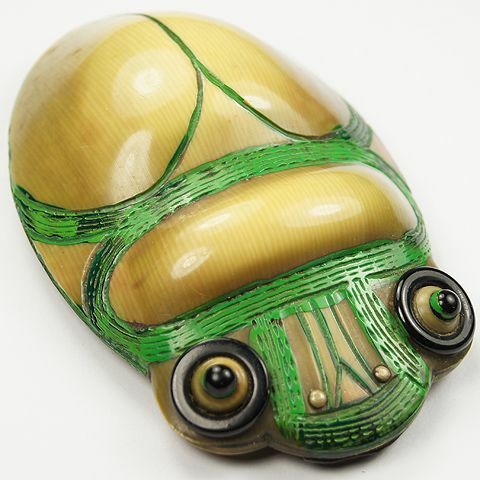 Usual 'bugaboo' carved to front of shell. 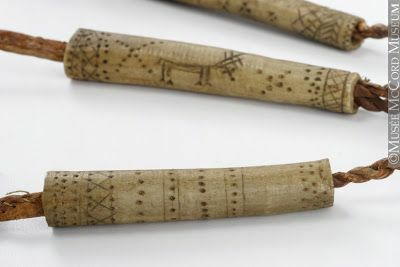 Musical instruments carved to back half of shell. 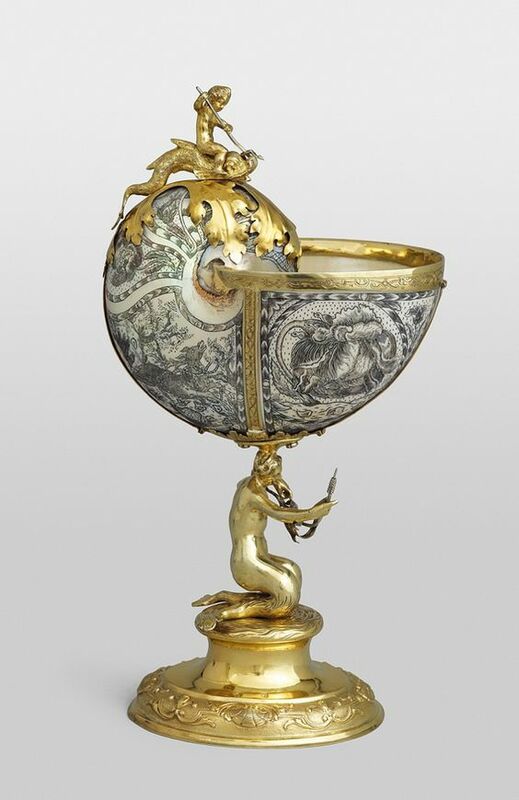 Yes, It's listed as a French coconut and silver powder-flask of about 1800 but I prefer your earlier date. There's a word for that cluster of musical instruments and it won't come to mind. More often used of groups of arms and flags depicted on military drums etc. (9) Irish bog oak brooch. 19th century. 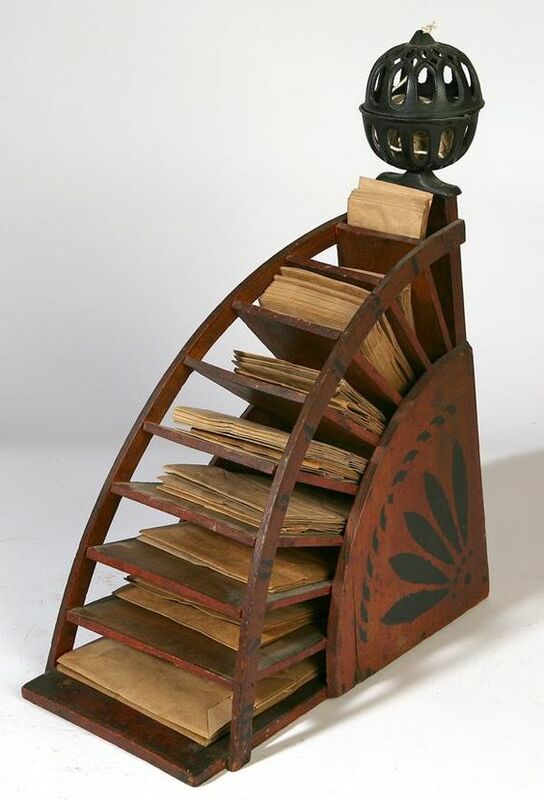 (3) Envelope rack for office use, with a waxjack for lighting to the top of the rack. 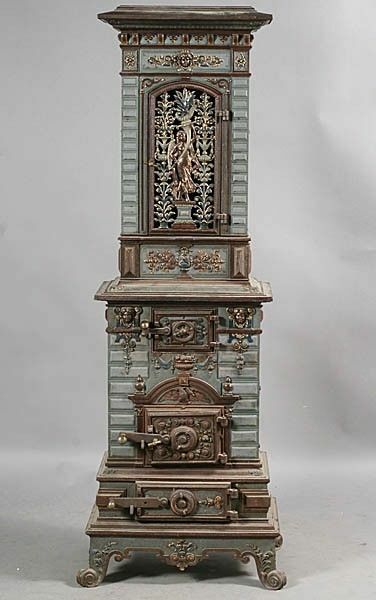 English, second half of 19th century. Not for your postage envelopes, the period's OK Mike and think retail outlet rather than office and don't be fooled by that 'wick'. The 'wick' is a wax taper for lighting purposes. or to melt sealing wax when sealing the envelopes. Sorry Mike I was trying to be helpful, the 'wick' is the end of a ball of string for tying up the various sizes of brown paper packets. The packet-holder once lived on a counter in an ironmongery and general store. "Four ounces of quarter inch Whitworth nuts please and an ounce and a half of quarter inch washers please." 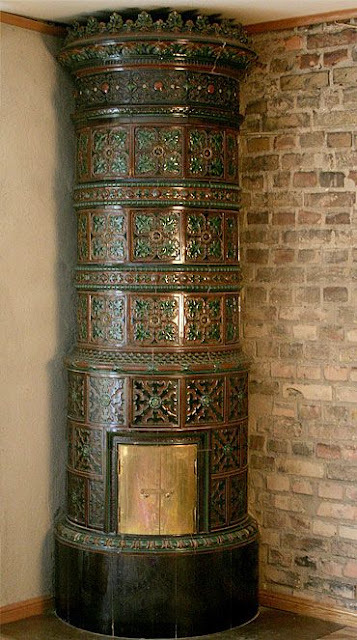 (6 & 7) Early forms of central heating, stoves set in the corner of a room. They appear to be a German one and a Scandinavian one. Both of probably early 19th century date. Perfectly correct, Mike, wonderful examples of the ubiquitous application of cast-iron in every area of domesticity, industry, civil engineering and transport. The use of vitreous enamel on domestic cast-iron is very becoming and prevents oxidation. 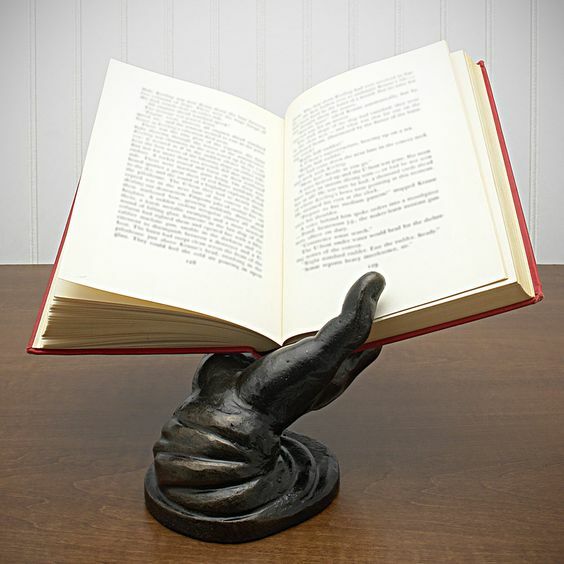 (8) Bronze book rest. 18th/19th century. Yes, a lovely idea but somehow a bit creepy. This appears to be a portable (provided a two horse wagon was available) forge. The forge itself being hand cranked, with a couple of anvils. It appears to date from the second half of the 19th century, and appears to be English; although it just might be American, or from one of the other colonies. 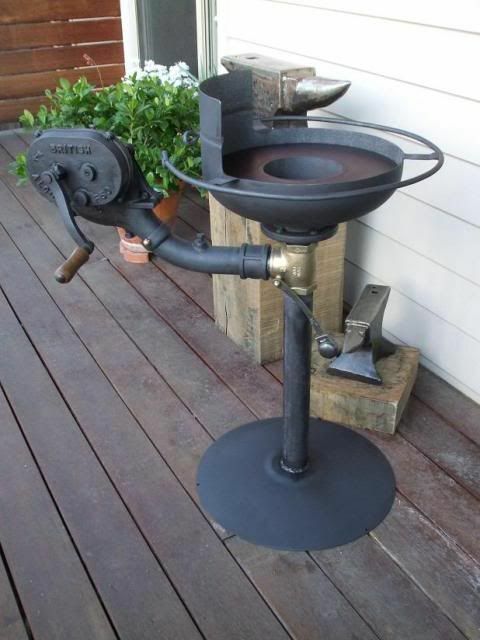 Good description Mike, but I think this one is a hand built American forge of the last century. The craftsmen over there do some really fine work when money's no object. Looks as though it has only ever served ornamental purposes. 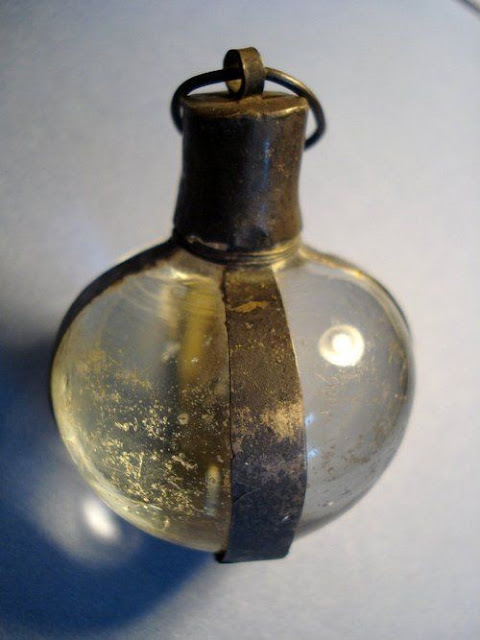 1.Charm stone set in silver C.17th used to dip in consumable liquids to neutralize any toxic or evil influences. 10. 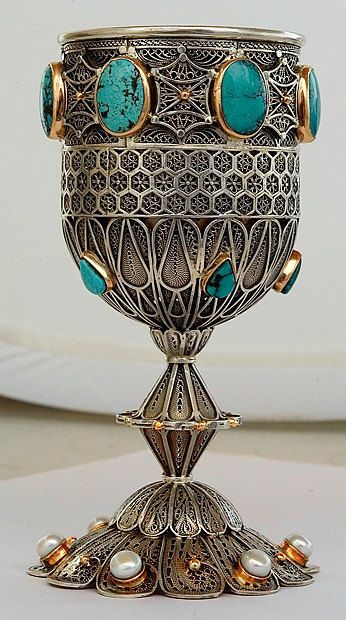 Sterling silver and gold Kiddush goblet used in celebratory family meals on Jewish holy days. 16. 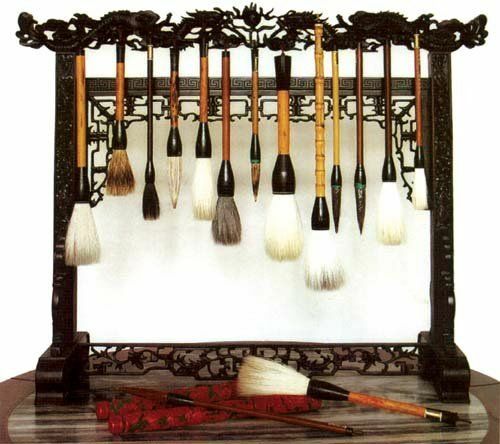 A stand of oriental calligraphy brushes. Lower 16. A nautilus shell cup by Elias Adams, Augsberg circa 1715, silver gilt mounted. 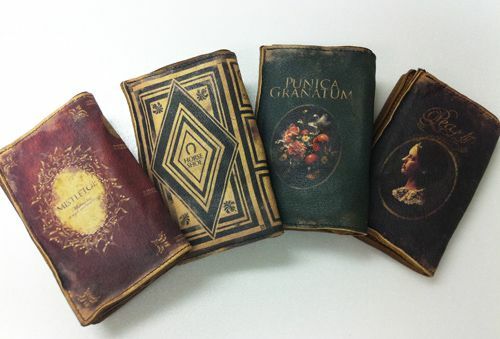 17. a few purses disguised as books.